When Sreevalli @ Ammaji's Recipes asked me if I can join her guest post series"Something Sweet", I happily accepted the request.I was a bit busy at home but she gave me ample time to decide the recipe and the date too,so sweet of her.Sreevalli has a wonderful space and an experienced blogger since 2009,admire her lovely clicks & yummy recipes.Thank you Sreevalli for making me a part of your guest post series,feeling very happy.This time,I would like to share soft garlicky bread sticks.The name itself sounds flavorful.Isn't it?? I love those long cylindrical shaped soft ones a lot.Perfect with a bowl of soup or great with some dipping sauce.If you love those from pizza huts,you will definitely love this garlicky ones too with a homemade dipping sauce.Do give this a try & Enjoy !!! lovely guest post. will check the recipe ther too. Looks so yummy... lovely guest post. These bread sticks are similar to ours here in Valencia, we called them "rosquilletas" I've got one recipe in my site. I copy your recipe because I'm sure I'll bake them. http://thermofan.blogspot.com.es/2012/02/rosquilletas-con-pimenton-de-la-vera.html If any doubrs, just tell me. love the garlic bread.. this name itself is aromatic... snaps r tempting..
Looks like a perfect appetizer for any party :)Yum. Lovely GP. The stick looks very tempting. Awesome guest post Julie, loved garlic flavored bread always, and your bread sticks are really perfect. Lovely clicks Julie just admiring them , so hopping over to her space to check the recipe :) Kudos dear!!! yummy breadsticks..came out just perfect. 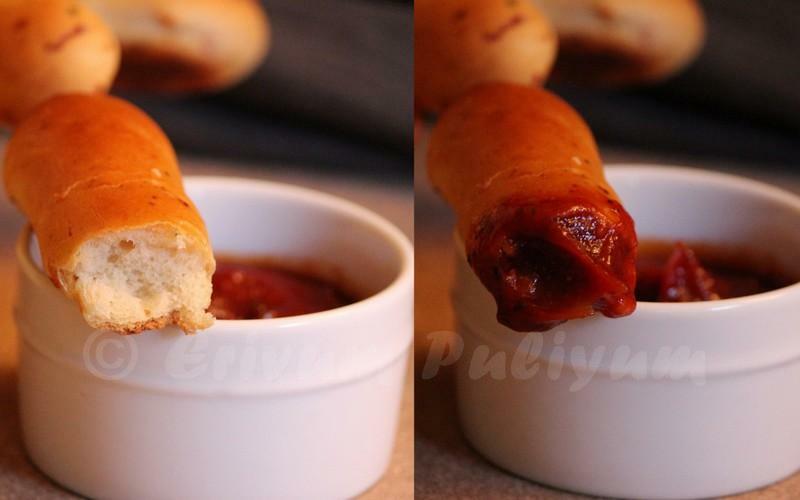 Bread sticks look perfect with the sauce..
Adipoli breadstick Julie, I love them. Happy Valentine's day. lovely guest post. 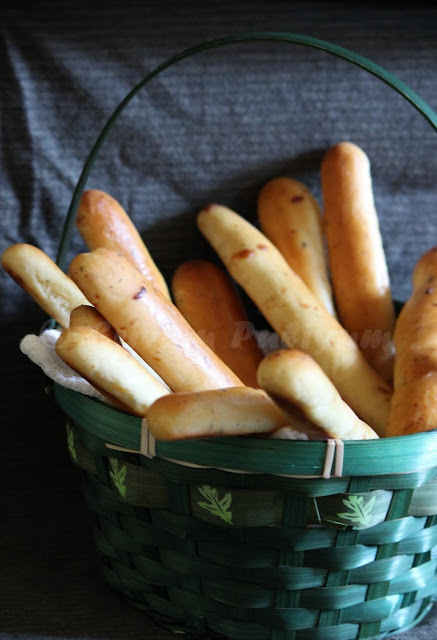 bread sticks look yummy..
Yummy and perfect recipe dear.. I like garlic breads, will try yours. How to make Mascarpone Cheese at home? ?